2017 NSW Professional Photographer of the Year-Illustrative Category Winner! 2016 Australian Professional Photography Awards-Illustrative Category Finalist! 2016 NSW PPA Silver Award (x4) Illustrative Category. 2015 NSW Professional Photographer of the Year-Illustrative Category Finalist! 2015 Australian Professional Photography Awards (APPA) Silver (x2) Illustrative Category. 2014 NSW Professional Photographer of the Year-Illustrative Category Winner! Silver with Distinction (x4), Silver Award (x2). 2014 Australian Professional Photography Awards (APPA) Silver with distinction (x1) Silver (x3) Illustrative Category. 2013 NSW Professional Photographer of the Year-Illustrative Category Finalist! Gold Award (x2), Silver with Distinction (x3), Silver Award (x2). 2013 Australian Professional Photography Awards (APPA) Silver (x2) Illustrative Category. 2012 NSW Professional Photographer of the Year-Illustrative Category Winner! Silver with Distinction (x2), Silver Award (x10). 2012 Australian Professional Photography Awards (APPA) Gold (x1) + Silver with Distinction (x1) + Silver (x1) Illustrative Category. 2012 2010 International Loupe Awards 4 Bronze. 2011 NSW Professional Photographer of the Year-Illustrative Category Winner! NSW Professional Photographer of the Year-Runner up! 2011 Australian Professional Photography Awards (APPA) Silver with Distinction (x1) Silver (x2) Illustrative Category. 2011 International Loupe Awards 3 Silvers. 2 Bronze. 2010 NSW Professional Photographer of the Year-Illustrative Category Winner! Silver with Distinction (x4), Silver Award (x2) Illustrative category. Silver Award (x3) Landscape Category. 2010 Australian Professional Photography Awards (APPA) Silver with Distinction (x2) + Silver (x2) Illustrative Category. 2010 International Loupe Awards 5 Silvers. 2 Bronze. 2009 NSW Professional Photographer of the Year-Landscape Category Runner-up! Gold Award (x1), Silver Award (x6). 2009 Australian Professional Photography Awards (APPA) Silver with distinction (x1) + Silver (x1) Landscape Category. 2009 International Loupe Awards 2 Silvers. 3 bronze. 2009 International Pano Awards 3 Bronze. 2008 Career Highlight becoming an AIPP Master of Photography! 2008 NSW Professional Photography Awards Silver Award (x8) Portrait Category. 2008 Australian Professional Photography Awards (APPA) Silver with distinction (x1) + Silver (x2) Portrait Category. 2007 NSW Professional Photography Awards Silver with Distinction (x1), Silver Award (x3) Portrait Category. 2007 Australian Professional Photography Awards (APPA) Silver with distinction (x1) + Silver (x1) Portrait Category. 2006 NSW Professional Photographer of the Year-Landscape Category Runner-up! Gold Award (x1), Silver Award (x4) Landscape Category, Silver with Distinction (x1) Wedding Category. 2006 Australian Professional Photography Awards (APPA) silver (x2) Landscape Category. 2005 NSW Professional Photographer of the Year-Landscape Category Runner-up! Gold Award (x2), Highest Scoring Print (x2), Silver with Distinction (x1),Silver Award (x2) Landscape category. Silver Award (x5) Portrait Category. Silver Award (x4) Illustrative Category. 2005 Australian Professional Photography Awards (APPA) Silver (x3) Landscape Category. 2004 NSW Professional Photography Awards Silver Award (x6) Portrait Category. Silver Award (x3) Landscape Category. Silver Award (x2) Illustrative Category. Silver Award (x2) Commissioned Category. 2004 Australian Professional Photography Awards (APPA) Silver (x1) Silver with Distinction (x1) Landscape Category. 2003 NSW Professional Photography Awards Silver Award (x5) Portrait Category. Silver Award (x3) Wedding Category. Silver Award (x1) Illustrative Category. 2003 Australian Professional Photography Awards (APPA) Silver (x3) Portrait Category. 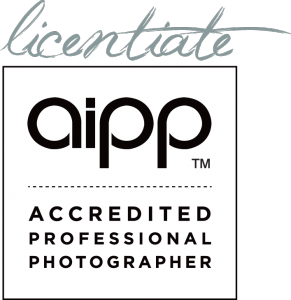 2000 Career Highlight becoming an AIPP Associate of Photography! 2000 Australian Professional Photography Awards (APPA) Silver (x2) Wedding Category. 1999 NSW Professional Photography Awards Highest Scoring Print (x1), Gold Award (x1),-Certificate of Attainment (x2) Wedding Traditional Category. 1999 Australian Professional Photography Awards (APPA) Silver with Distinction (x1) + Silver (x1) Wedding Category. 1998 NSW Professional Photography Awards Certificate of Attainment (x1) Wedding Category. 1998 Australian Professional Photography Awards (APPA) Silver (x1) Certificate of Attainment (x2) Wedding Category. 1997 NSW Professional Photography Awards Certificate of Attainment (x2) Wedding Category. 1997 Australian Professional Photography Awards (APPA) Certificate of Attainment (x2) Wedding Category. 1996 NSW Professional Photography Awards Bronze Award (x1) Editorial Category, Bronze Award (x1) Portrait Formal Category. 1995 Australian Professional Photography Awards (APPA) Bronze Award (x2) Wedding Category. 1994 Bronze Award (x1) Landscape Category.